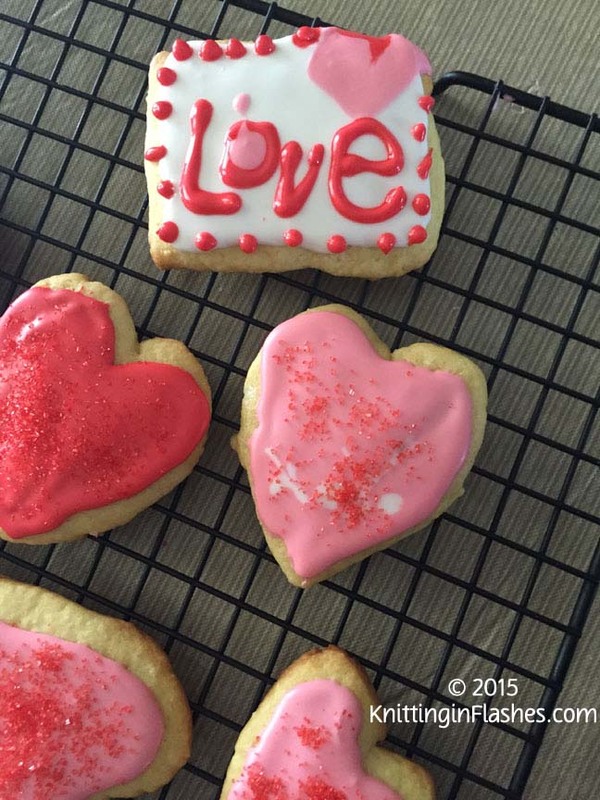 While at our daughter’s house, we baked cookies for Valentine’s Day. 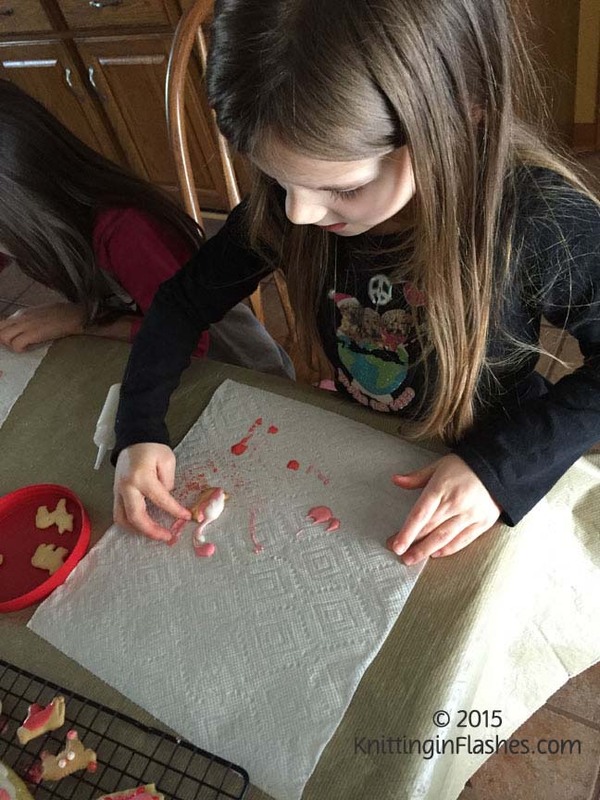 Because of the mishap on Friday evening and E’s not feeling well on Saturday, we waited until Sunday, February 15, to bake and decorate cookies. Mom and Dad were expected home on Monday so the cookies were a day fresher. 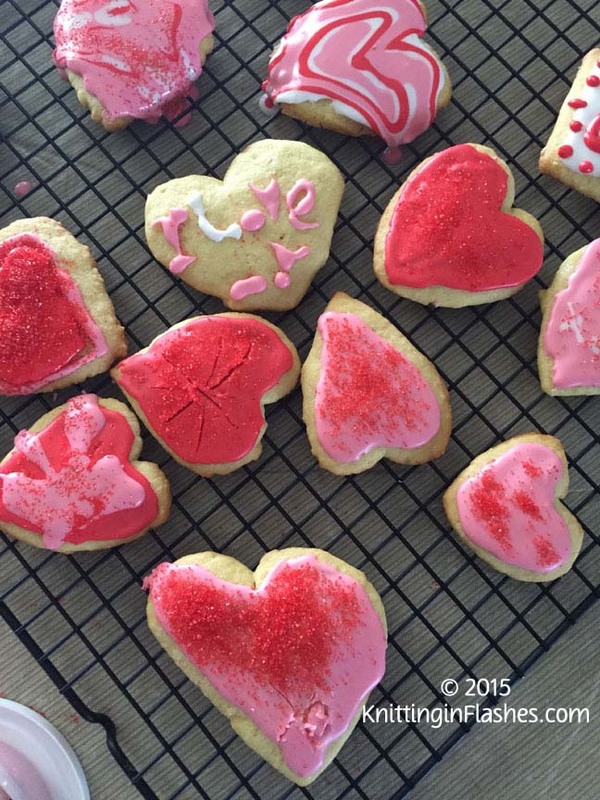 We used half of the recipe of Royal icing as we didn’t have a lot of cookies to decorate. 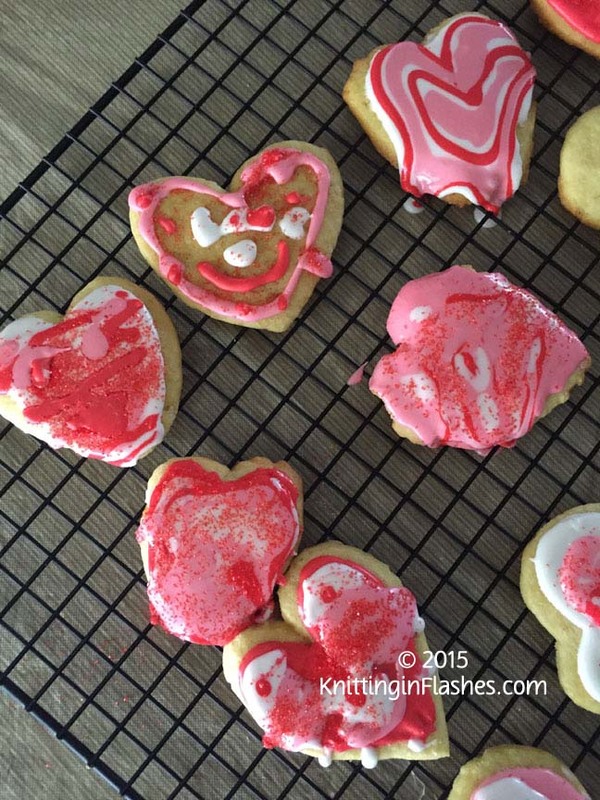 Red, pink, and white icing and red colored sugar. 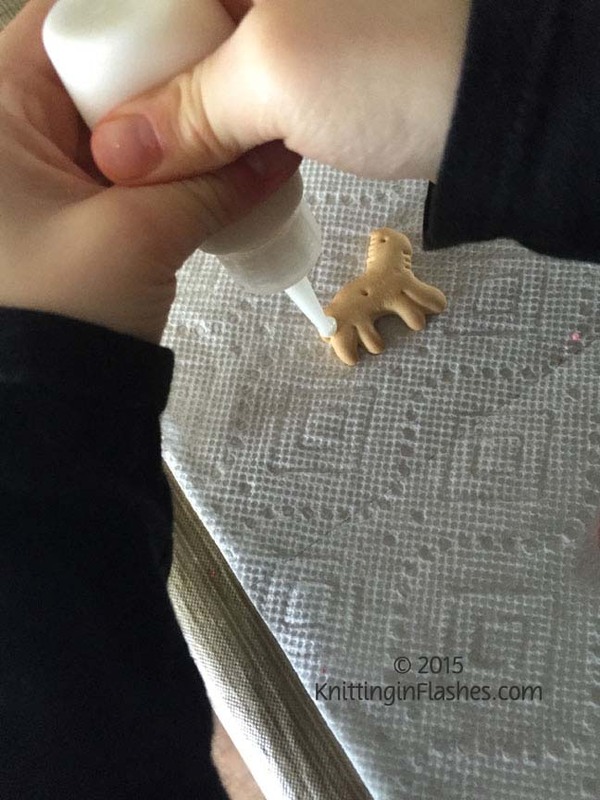 I found these little squeeze bottles for the icing so the twins would have more control over their decorating. 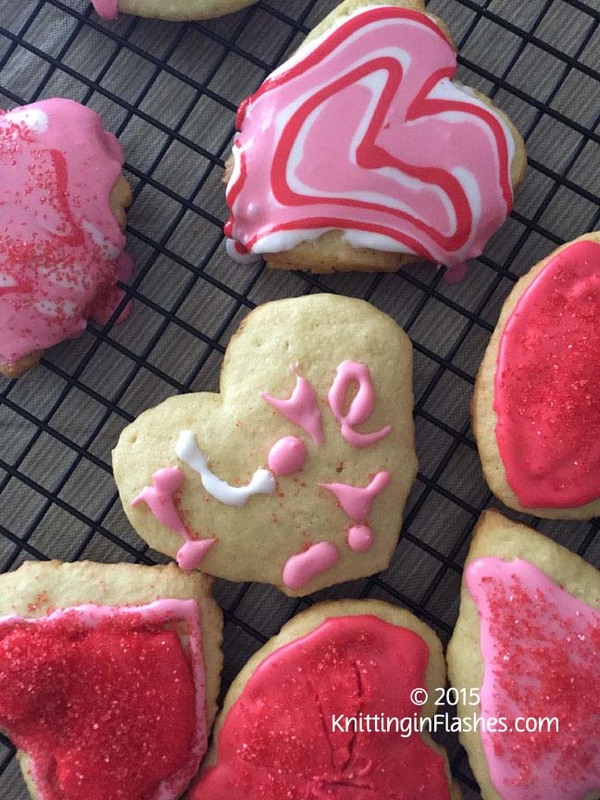 I spread most of the cookies with a solid color and the twins decorated the tops. You can never have too much icing. For some reason the pink icing got a little too thin and was running everywhere. 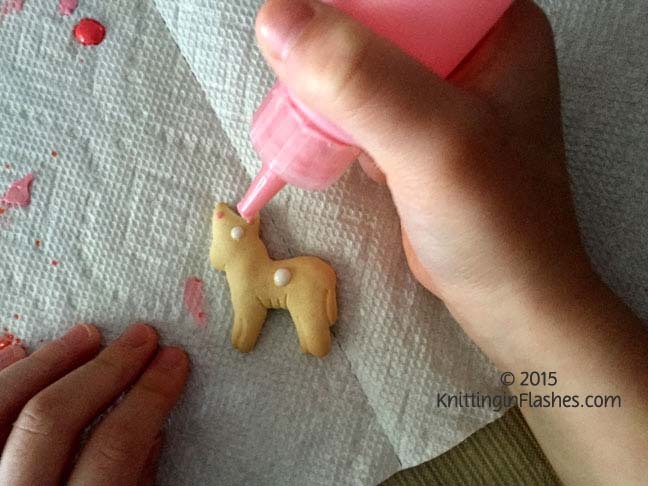 When we finished up with all the cookies, we decorated animal crackers. 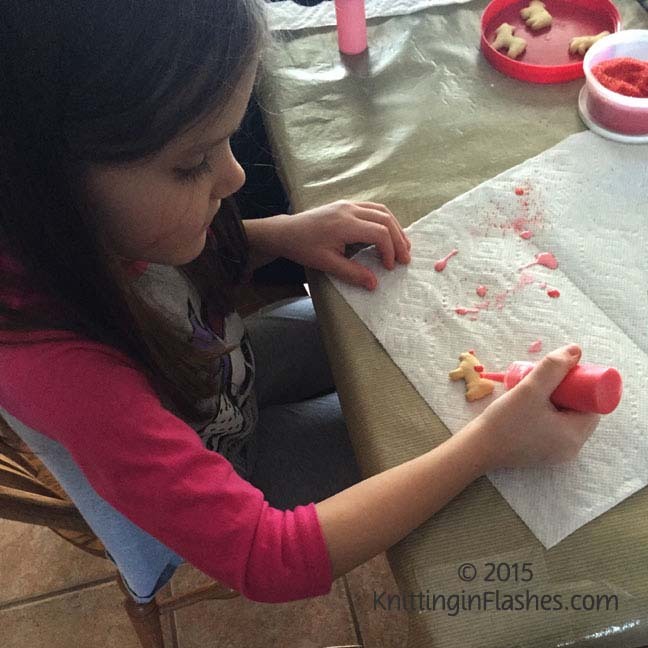 This entry was posted in decorating, food, grandkids and tagged baking, cookies, cooking, decorating, grandchildren, icing by Patti_is_knittinginflashes. Bookmark the permalink. Loved all those cookies. You have a lot of patience. Yes, it was. 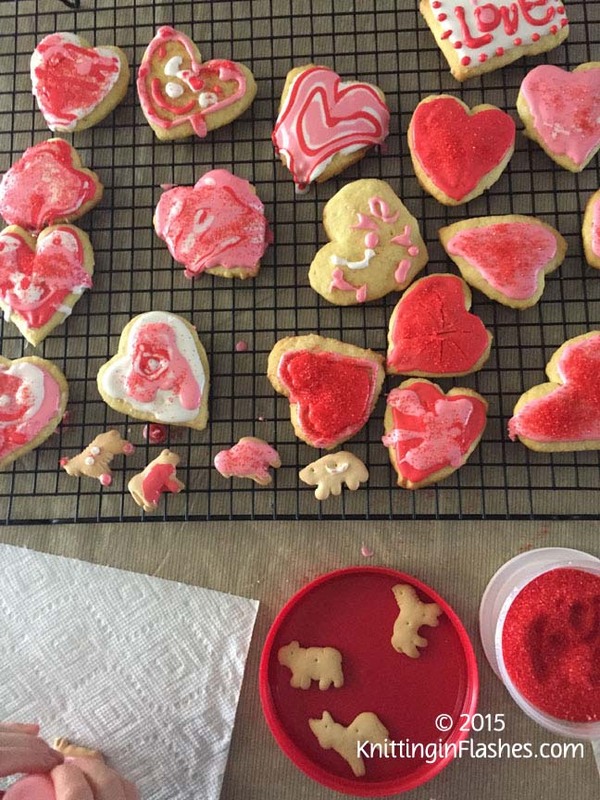 I didn’t have any cookie cutters so I had to cut the heart shapes out with a knife. I’m not sure what happened but some of the cookies didn’t get done and we had to throw them out. Different oven, different cook.